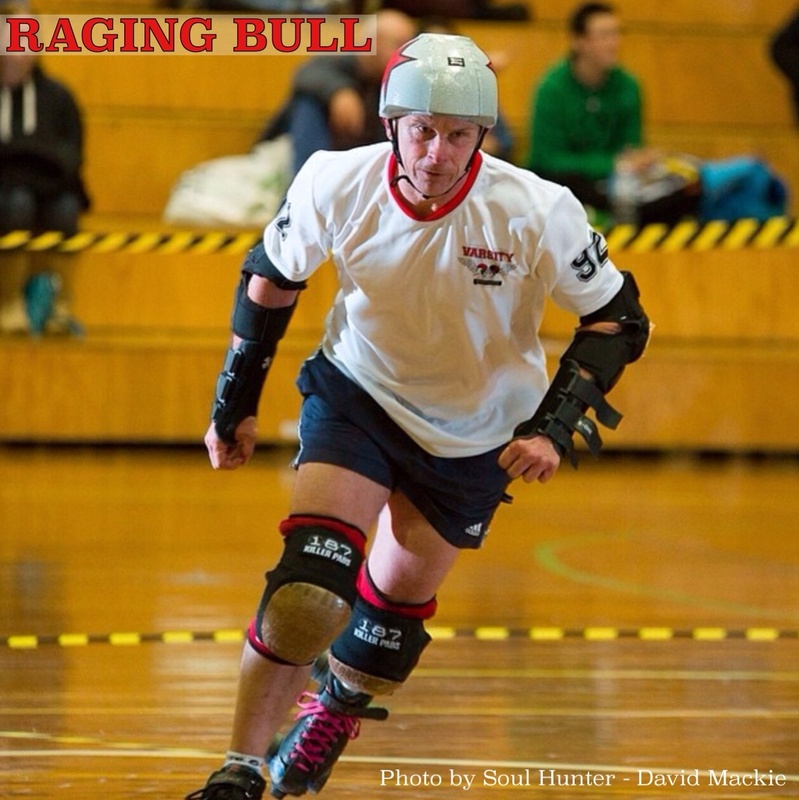 This Skater Spotlight features one of our Capital Carnage skaters who’s going from strength to strength and pulling no punches along the way – it’s Raging Bull! I started fresh meat just over a year ago. I had skated a few times in my teens. My daughter skates in CRDL, so my wife joined VDL to try it out, and then pushed me to give it a try. Jamming is a thrill when it comes off, but it’s so incredibly exhausting I can’t do much of it, so at the moment I’m more comfortable blocking. I think it was realizing how incredibly useful toestops are. I just like to unwind, and take the time to make sure all my gear is ok and I haven’t forgotten anything. In the Smash bout, pushing someone out all by myself and recycling him was pretty special! My wife is Mad Cow, so when I suggested ‘Raging Bull’ in jest, everyone was insistent that I take it. I still have my original beginner skates, and they seem to do well enough. But you do have to change the rock-hard bushings they come with so that you can manoeuvre, and I’ve gone for some softer wheels for more stickiness. I used to get sore wrists, so got some good quality wristguards. And I have absolutely no padding on my hip bones, so padded pants are a godsend. Don’t feel pressured to try more than you’re comfortable with; master the basics and build on them gradually. Steady progress can achieve impressive results. I’m inspired by Whippasnappa, who proves that you don’t need to be big to be good! (I’m huge compared to him). I aspire to Skateslinger’s level of agility. And, really, I admire all the girls and guys who aren’t natural athletes or in perfect shape, but have the courage to push themselves to be better every week. Can only come up with two: agility, determination. Read more Skater Spotlights here!